The Turkish foreign ministry on Thursday slammed a US human rights report that "contains false charges, inaccurate information and biased comments" on Turkey. A statement from the ministry said Turkish efforts to combat terrorism were in line with international law and human rights, however, the report reflected Turkey as a violator. 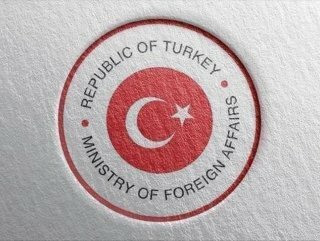 The foreign ministry accused the controversial report by the US State Department of describing terrorists and those who backed July 15th, 2016 failed coup attempt in Turkey as "political prisoners." It said Ankara was "disappointed" Washington was unable to comprehend Turkey's fight against "fierce terror groups" particularly PKK, FETO/PDY, Daesh and DHKP-C.